Jeffrey Snider: "U.S. The Fifth Amendment decrees, 'No person shall be…deprived of life, liberty, or property, without due process of law; nor shall private property be taken for public use, without just compensation.' Private property is central in this amendment because private property was understood then as a central check not just on government but as the primary tangible instrument of freedom .. A repo is not a repurchase agreement; it is a collateralized loan. The way in which the latter became the former demonstrates a great deal about the overlaying of financialism in banking and modern money .. If the bedrock proposition of capitalism is private property and clear title to it, then repos have done little except make a mockery of it .. Repo fails, in particular, are an insult to the capitalist tradition. One of the primary imbalances that led to directly to panic in 2008 was the near total failure of the repo market, itself brought to that state by among several things the Lehman failure. In a world of fluid 'fails' and rehypothecation, what did bankruptcy mean for these collateral chains where ownership was just this kind of fuzzy financial relationship? It was the ultimate form of unstable money, and the results of such monetary instability became very shortly thereafter obvious to everyone .. It is perfectly obvious that repo fails had been rising almost steadily since 2011, marked by short but intense bursts of illiquidity in the middle of 2013 and again in the middle of 2014. That all changed the week of August 12, 2015, a week we should all know very well by what happened with the Chinese yuan; not because it happened with CNY and the global importance of China, rather due to how the Chinese relate their system to the 'dollar' system. Since repo fails are a highly observable form of unstable money becoming more unstable, the financial and economic results of the past year and a half are wholly unsurprising .. Since the last week in August 2016, repo fails have not been less than $200 billion in any week. Of those fifteen weeks (thru the week of December 7), they have been greater than $300 billion eight times, including each of the past four weeks going back to the week after the election (which does not propose the election as the cause). Fails have been above the $500 billion level three times, and each of those weeks corresponding with a whole lot of Chinese money market instability (which does propose more than the contours of causation within a global monetary system) .. Repo fails are only one possible form of monetary instability, but they are emblematic both of the immediate problem as well as the disease of the whole system. 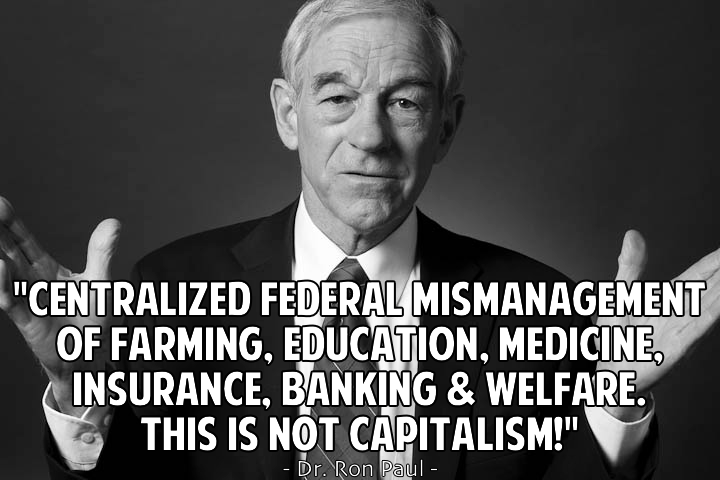 This is not capitalism, full stop. You can add whatever other term you like in its place, I use financialism not just because of the preference it gives to financial considerations above all else, especially economy, but also because the word embodies the balance of transformation from property law to finance law and all that has gone with it .. When money was property, we all had to know better because it was our own that was at stake. In the 'modern' version, it is left centralized to the cabal of ignorance and ego, a concern that motivated exactly the writing, ratification, and righteous enshrinement of the Bill of Rights."